Is this book published by the Melchizedek Publishing Co., LTD.?? I would appreciate some sort of picture or something if it is as I am currently in a debate with a spouse as to what is considered legit and what isn’t since he has begun participating with the WMSCOG. Your help/time/response would be greatly appreciated!! This book is ,as far I know, not produced by Melchizedek Publishing Co. 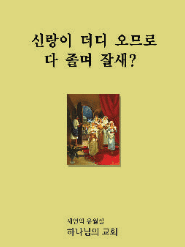 It was however written by Ahn Shang-Hong. This book is given to us by the NCPCOG which is the actual church established by Shang-Hong. I encourage you to take a look at their site, you’ll see photos of Shang-Hong and all his books. Just FYI, Ahn is his family name, and Sahng-Hong is his personal name. It was published by NCP Church of God Oct. 20, 1983 and Apr. 8, 2005. The publishing company was registered July 18, 1980. A current member sent me a photo of the inside cover of the book. Send me a PM with your email address and I’ll forward it to you. I’m Love’n Honey. According to them, the Melchizedek Publishing Co wasn’t registered until 1990. Unless I’m understanding this wrong, the Melchizedek Pub. 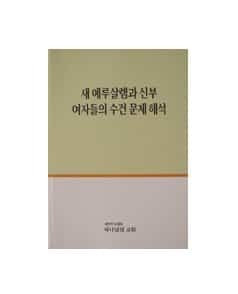 Co. did not publish this book because Ahnsahnghong wrote it and he died in 1985, 5 years before this PubCo was registered. One more question – Does anyone know when this book was published?? I apologize but I don’t know where to look and I don’t read or speak Korean. Your answers are VERY VERY MUCH APPRECIATED!! Ahn Sahng Hong, Jang Gil Ja, M[moderated by admin]! Go to the hell! You are the Antichrist! I refuse to believe that God would worship false gods for almost thirty years! 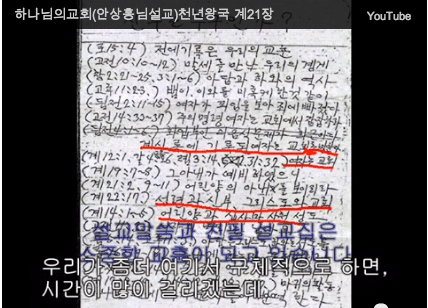 Ahn was a Buddhist prior to joining the Seventh Day Adventist group! There’s no possible way that he’s God in any stretch of the imagination! Because Ahn is NOT GOD it doesn’t matter if he reveled a supposed god the mother. God did not disclose hidden truth saying there’s a god the mother! I believe in Elohim God but I will never chock down the obvious falsehoods of the WMSCOG! Please do some research and get out of this group! They are deceiving you!